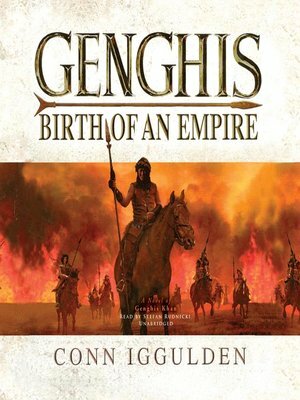 He was born Temujin, the son of a khan, raised in a clan of hunters migrating across the rugged steppe. Temujin's young life was shaped by a series of brutal acts: the betrayal of his father by a neighboring tribe and the abandonment of his entire family, cruelly left to die on the harsh plain. But Temujin endured—and from that moment on, he was driven by a singular fury: to survive in the face of death, to kill before being killed, and to conquer enemies who could come without warning from beyond the horizon. Through a series of courageous raids against the Tartars, Temujin's legend grew—and so did the challenges he faced, from the machinations of a Chinese ambassador to the brutal abduction of his young wife, Borte. Blessed with ferocious courage, it was the young warrior's ability to learn, to imagine, and to judge the hearts of others that propelled him to greater and greater power, until Temujin was chasing a vision: to unite many tribes into one, to make the earth tremble under the hoofbeats of a thousand warhorses, to subject unknown nations and even empires to his will.